Offering the Largest Selection of Vacation Properties on the Outer Banks! Sun Realty's wide selection of Outer Banks vacation rentals allows you to select the perfect property for your needs and for your budget. Whether you're planning a large family reunion or a romantic weekend for two, we have the ideal Outer Banks vacation rental for you. Click on the links below to learn more about the types of vacation properties offered by Sun Realty. Each Outer Banks vacation rental is unique, but this breakdown will help you select the type of home that best fits your needs. Sun Select Luxury Homes are sure to delight every guest in your party. 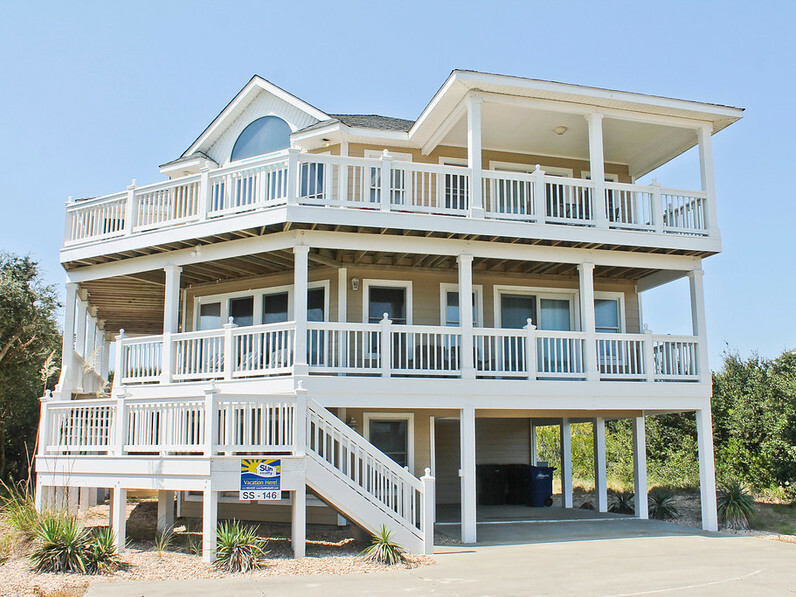 These properties are some of the most elaborate vacation rentals available on the Outer Banks. These beautiful seaside retreats are sure to exceed your expectations. 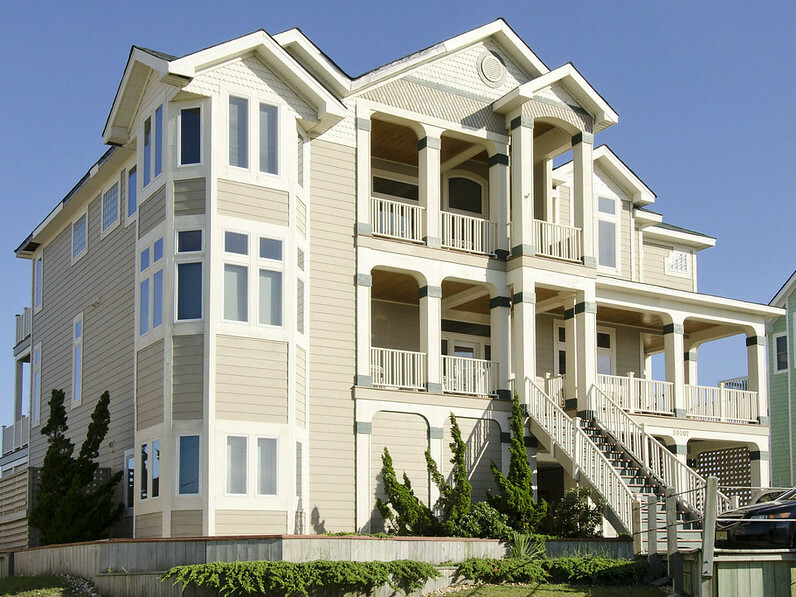 Sun Select Luxury Homes are available throughout the towns and villages of the Outer Banks. Enjoy high-end amenities, lovely décor and careful attention to detail throughout the home. The majority of these Outer Banks luxury rentals include features such as private pools, theater rooms, hot tubs, recreation rooms, gourmet kitchens, multiple master suites, flat-screen TVs, high-end linens, and water views. Sun Select Luxury Homes also include Express Check-In, Superior Housekeeping, a Complimentary Luxury Welcome Bag, and recommendations for fine dining, golf outings, spa packages and more! Experience a care-free coastal escape coupled with luxurious details and the highest level of service. Search for your Sun Select Luxury Home today! Sun Realty's Family Vacation Homes are referred to as "Southern Comfort" homes. Most include amenities such as private pools, hot tubs, internet access, DVD players, video game systems, and expansive decking. Enjoy open floor plans and spacious family areas, or retreat to a master bedroom for some relaxation. These Outer Banks rentals are popular because guests have plenty of room to spread out and are still able to enjoy fun amenities keep everyone in the group entertained. Family Vacation Homes are ideal for single-family or multi-family vacations. These Outer Banks vacation rentals usually book quickly, so make your plans early to take advantage of the best selection! Search for a Family Vacation Home today! Re-create the beach vacations of your childhood in one of our Classic Vacation Cottages, listed with Sun Realty as "Beach Classic". These comfortable and well-maintained cottages offer reasonably-priced accommodations for smaller groups of vacationers. 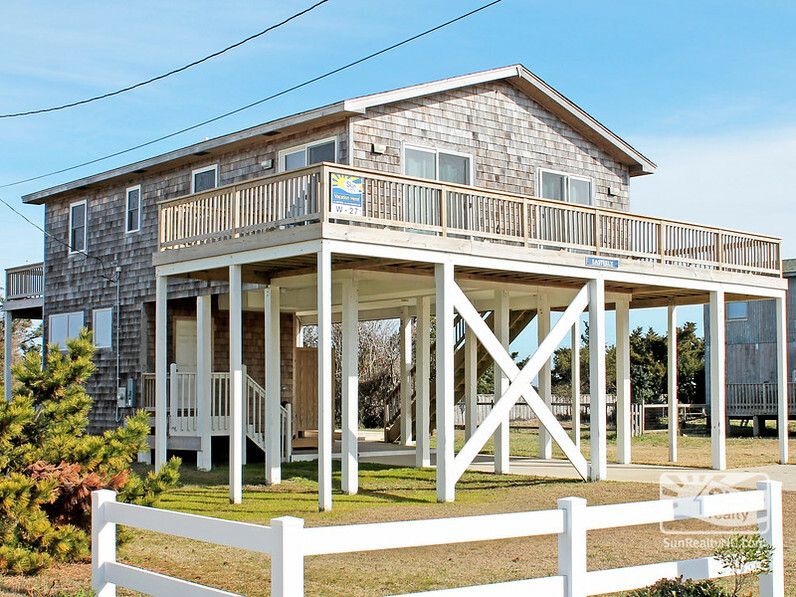 The affordability and wide selection of Sun Realty's Classic Vacation Cottages gives you the flexibility to find the perfect Outer Banks rental for your group. These classic beach cottages are located throughout the Outer Banks and some offer amenities such as private hot tubs and water views. Search for a Classic Beach Cottage today! 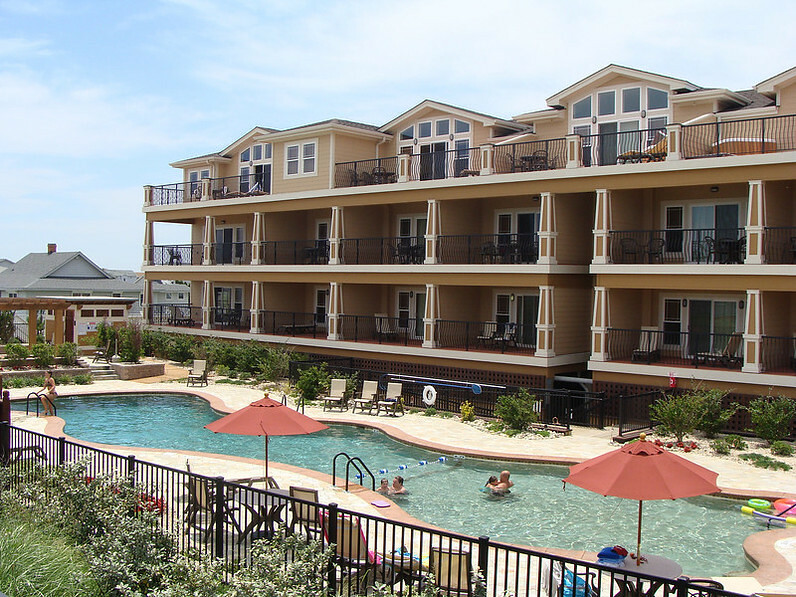 Sun Realty offers a wide selection of well-maintained Outer Banks condos and townhomes. These rentals often provide convenient community amenities such as large pools, tennis courts and exercise facilities. After a fun day at the beach, head back to your community for a refreshing dip in the pool or a soak in the hot tub! If you're looking for breathtaking ocean views for a reasonable price, then an oceanfront condo complex offered by Sun Realty is for just for you! Outer Banks condos are the perfect venue for small families, or the ideal romantic hideaway for couples. Sun Realty offers condos and townhomes throughout the Outer Banks; from basic accommodations to luxury units. Search for an Outer Banks Condo and Townhome today! Now that you're familiar with the types of Outer Banks vacation rentals offered by Sun Realty, you're ready to find the ideal property for your family. Search our wide selection online, or call one of our helpful Vacation Specialists at 1-888-853-7770.